Office 2010 is a widely used productivity suite from Microsoft and contains software applications such as Word, Access, Excel, PowerPoint and Outlook. Office 2010 contains features tailored to employees in roles such as sales and human resources and the options provided by the Ribbon, improved multimedia editing capabilities, and an option to share documents online have all enhanced its usability and productivity. The Alison Learning Path in Office 2010 is ideal if you want to enhance your existing office skills using this software, or for new employee induction training programs, or for companies wanting to up-skill their existing staff. The Alison Learning Path in Office 2010 is a sequence of courses that introduces all the improved aspects found in Word, Access, Excel, PowerPoint and Outlook. including the Backstage view, the Navigation Pane, the customizable Ribbon, formatting text and images together, live collaboration, saving your document to the cloud, and much more. Microsoft Word is one of the world’s most popular software applications. Although first released decades ago, the number of feature sets, ease of use, and the overall power of this productivity tool has continued to increase. This course will assist Microsoft Word users to make the switch from earlier versions of Word to the more advanced 2010 version. Word 2010 allows for more customization of the work space and creates an easier work flow when creating more complex documents. This course will introduce all the new aspects of Word 2010 including the new Backstage view, the Navigation Pane, the customizable Ribbon, formatting text and images together, live collaboration, saving your document to the cloud, and much more. 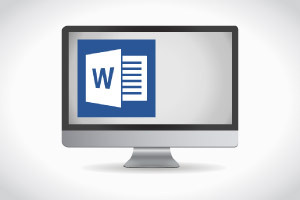 This course will be of great interest to all Microsoft Word users who wish to increase productivity and enhance their document presentation without increasing their work load. For those who happily use older versions of Microsoft Word, particularly 2003 and 2007 versions, the new feature sets of Microsoft Word 2010 will be a revelation. You will get an excellent return of your time and energy by spending time updating your word processing skills via this course. 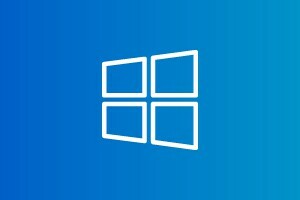 For those of you who have completed ABC IT, our comprehensive introductory computer course, the MS 2010 Word course is the perfect next step. Microsoft Access 2010 is a software program used to build and run databases. You do not need any prior experience working with Access to follow this free course, but if you are familiar with previous versions, then this course will help you quickly make the transition to this upgraded version. In this course you will learn how to design and create tables for a new database. You will learn how to construct these tables in the database and link them with primary key fields. You will be shown how to create the relationships between the tables and how to extract information from them using queries. This free MS Access course will also review keyboard shortcuts which help you work faster by relying more on the keyboard. 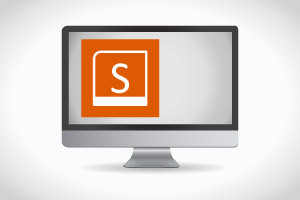 Databases created with Access can also be viewed and edited online by uploading them to SharePoint and this course will take you step-by-step through this process. Microsoft implements some safety precautions when you work with online files, and this course will show you how to activate your content after you download it. This course will be of great interest to all business, finance and IT professionals who create and work with databases. You will see how creating a database makes handling data much easier and you will be able to maximise the functionality of the data and reduce data redundancy. Microsoft PowerPoint is the most popular software application used to create computer-based presentations. This free online course on PowerPoint 2010 illustrates the many new features that extend its workflow capabilities and functionality. You will learn how to create, manage, and collaborate on presentations with other people; and how to enrich your presentations with video, pictures, and animations including how to embed, edit, and play a video in your presentation and trim an audio or video clip. Microsoft Outlook is a very popular emailing and personal information management application and Outlook 2010 has greatly increased the features and functionality of this software program. This Outlook 2010 course illustrates the many new features that extend its workflow capabilities and functionality. The course begins by showing why you should make the switch to Outlook 2010 from previous versions of the software. You will learn how to navigate the ribbon and understand the different tasks that can be done with it. You will learn how to create, manage, and organize your email, calendar, contacts and tasks; and how to enrich your email with attachments and business cards. This course will be of great interest to all professionals in any business or organization who wish to organize their schedule or email in a professional manner. Being able to professionally manage your email and personal information is a core skill-set to have in any career. If you have done previous Alison courses such as our Microsoft Outlook 2003 course you will find Microsoft Outlook 2010 is the perfect next step to bring your emailing and personal information management skills to the next level.